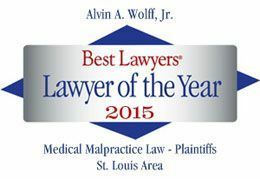 Alvin Wolff Jr. & Associates is happy to announce that we have moved, but not too far. Our new offices are located at the University Tower across from the Galleria Shopping Center at 1034 S. Brentwood Blvd., Suite 1900, St. Louis, MO 63117. We are very much looking forward to upgraded technology and facilities in the office which will allow us to better serve our clients throughout the entire St. Louis region moving forward!